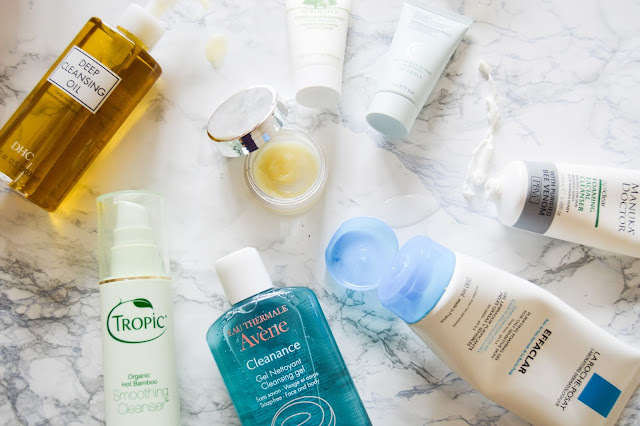 I only have one face so why do I have so many cleansers?! I like to think they do different jobs and suit my skin at different times. My skin can go through all the skin types in one month, from oily to dry, to sensitive to spotty. I'll pick my cleanser according to how my skin is that day/week. On the whole my skin is oily, but I do have some cleansers for dry skin too, so everyone is covered in these mini reviews! There is something so luxurious about this balm, I think it's a combination of the herbal, spa-like scent and the super soothing texture of the balm. It's great for when your skin is dehydrated as it leaves a slight film on the skin of moisture. You could used this to melt of your make-up but I find some of my other cleansers to be more effective. I will 100% repurchase once this sample pot is finished. This is the hero product from DHC, it works wonders on melting your make-up! I just massage a few pumps of the oil onto my face and then rinse off the make-up with a flannel. It's a simple, no frills product that does the job. If you don't want to use a micellar water to remove your make-up, this is the product for you. I'm not a fan of these 'at home parties' but I got dragged into one and felt very pressured to buy something. I just tried to pick something cheap and something I would use. This is basically a copy of Liz Earle's Cleanse and Polish. I do enjoy using it but I wouldn't repurchase. 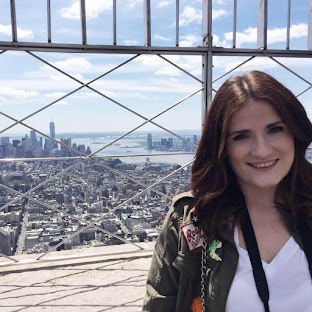 A cult beauty product that many bloggers love! It's really soothing yet refreshing on the skin and feels luxurious but easy to use. I'll always go back to this cleanser! Little tip, if you don't want to buy the LE cloths, go to the baby section in Boots and look for muslin cloths. It comes in a big square which you can cut up, saves you a few pennies! I only have a few items from Origins but I've been super impressed with them all! The aim of this product is to balance out combination skin, perfect for when my skin is being unruly. Most foaming products are very drying to the skin, but Manuka Doctor have created a cream which foams just enough, which means it doesn't dry out your skin. I would use this when my skin is spotty yet sensitive. The ApiClear range is aimed at acne prone skin, so worth checking out if you suffer from sensitive yet oily skin. I wouldn't recommend this to anyone with sensitive skin, it's very drying! I do tend to keep this one for when my skin is at it's worst. This isn't the best product from the Cleanance line, so perhaps try their Triacneal treatment and save your pennies on this one. My old faithful! Unlike the Avene version, this one doesn't dry your skin out too much. It's a simple gel which foams, helping fight acne and oily skin. This bottle will last you ages as well, mines been going strong for months now. 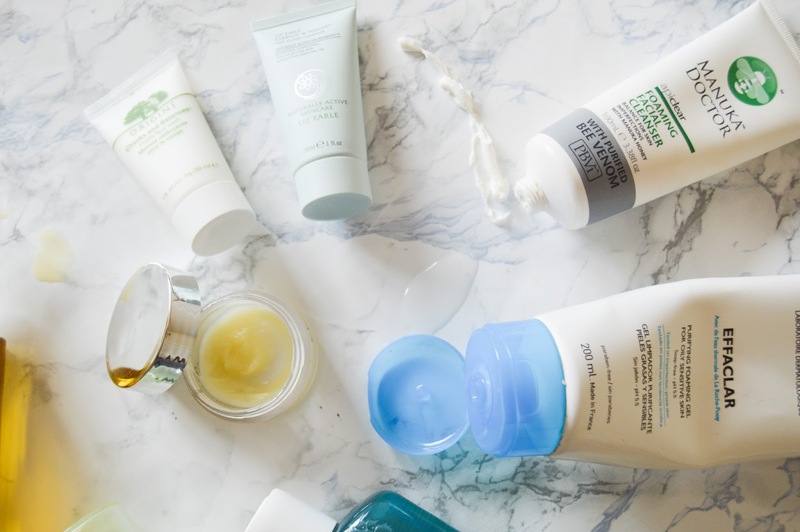 I am working my way through these to try and clear out my stash but my firm favourites which I will always repurchase are the Elemis Cleansing Balm, Liz Earle Cleanse and Polish and La Roche Posay Effaclar Cleansing Gel. Have you tried any of these cleansers? Leave your favourites in the comments below! It's great isn't it?! My friend had eczema and used a special emollient wash, so her skin wasn't sore. 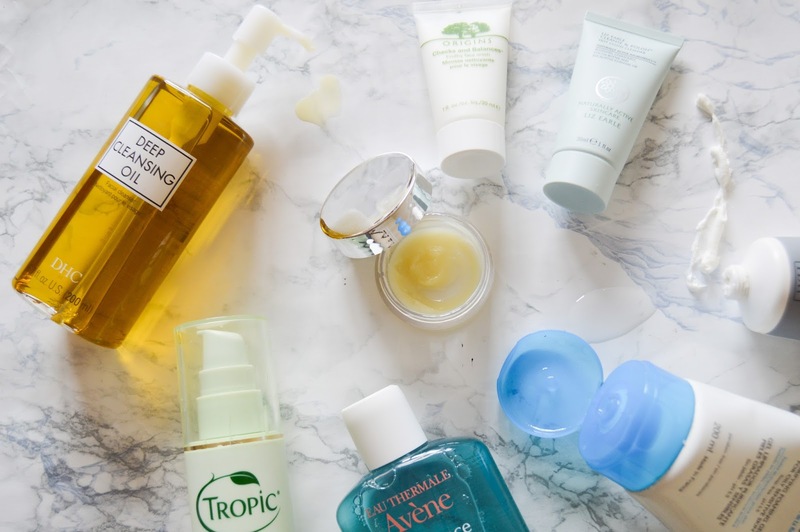 I agree, I've only recently swapped to balms and oils and I'm really enjoying them. The Elemis one is worth a buy!